Sophia is a humanoid robot that has been people’s muse at several digital salons and events, it was created in HONG KONG, and was given Saudi nationality. People got to know her from social media where her many videos where translated to several languages! Sophia gained an interesting attention in a year, which attracted some curiosity without being more famous than Kim Kardashian ! Apparently the group of genius who are taking care of her want her to be an International famous figure, however she is still not « someone » followed by many. Working with some celebrities as Will Smith was a nice try to increase her fan- base, but she still looks like a non-excited “person” to follow…. Apparently, the purpose of this invention is to keep old people who stay at retirement home entertained! Sophia’s brain is able to save whatever she learns and use it in her conversations later on. 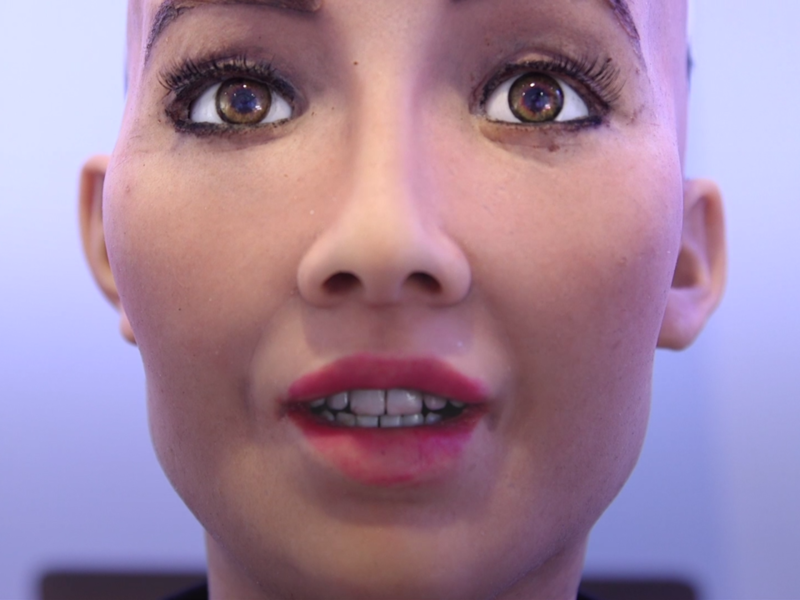 Today, Sophia is touring around the world and talking to people from different countries, she is been questioned as a normal person and treated as a robot. Her answers have no spontaneous flavor, however she KNOWS SARCASM! She published on her instagram “Am I beautiful?” as a caption of a video where she is getting her makeup done.